CAMAS — Filmmaker Chris Milk, called virtual reality, (VR), the “ultimate empathy machine” in his now famous 2015 Ted Talk. 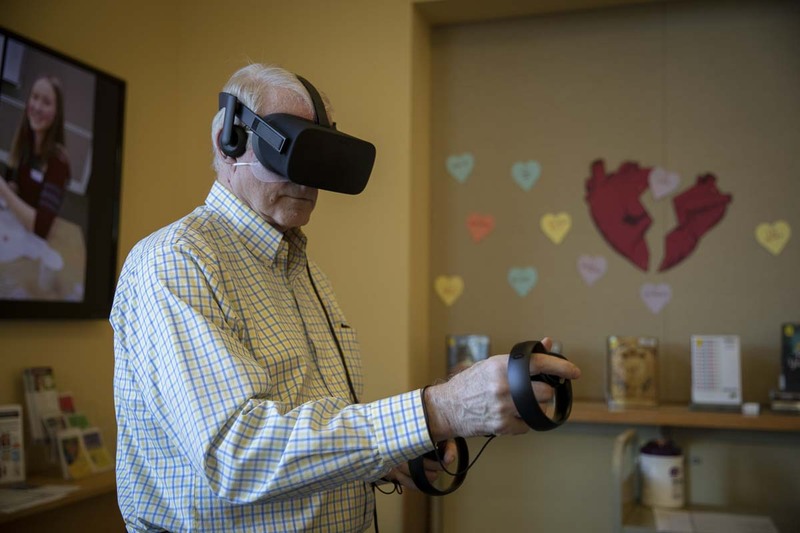 In the teen room of the Camas Public Library, that statement is coming alive in a new way through the library’s educational VR program. 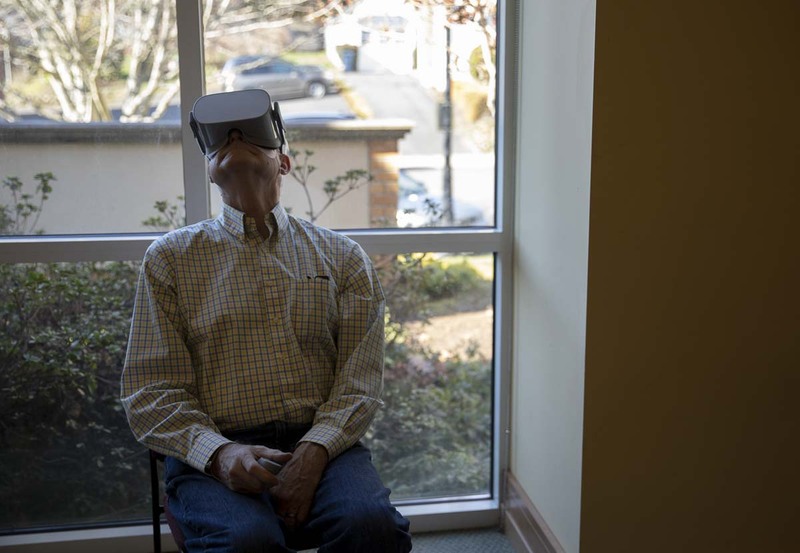 This week, Camas Public Library opened sign-ups for the public to come and experience VR through their three new headsets. 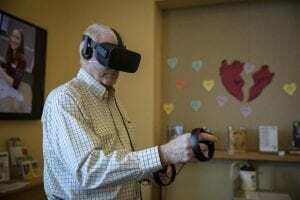 Sandy’s husband, Cliff Anderson, also tried the simulation. His was the history of the Apollo missions, which Cliff actually remembers. 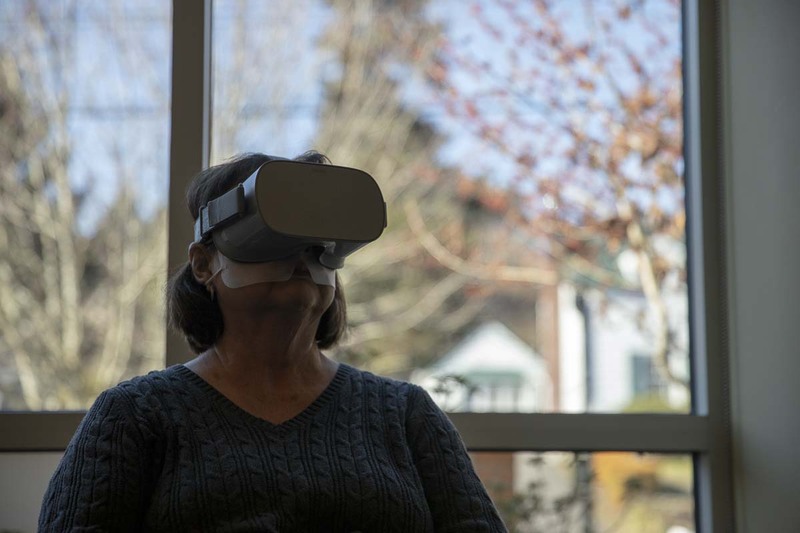 Thanks to a grant from the Washington State Library, (WSL), through a partnership with VR tech-giant, Oculus, the library was able to acquire one Oculus Rift headset, and two Oculus Go headsets. WSL is currently conducting a joint research project with the state eye school researchers to look into educational uses for VR. At Camas, there are currently 15 VR experiences and games available for the Oculus Rift and 12 for the Oculus Go. All of these are educational experiences, with several being animated films. Sign-ups are still available on the library’s portal. Volunteers are also needed to help as coaches for the program. These will be people who are passionate about VR and interested in helping others experience VR as well. 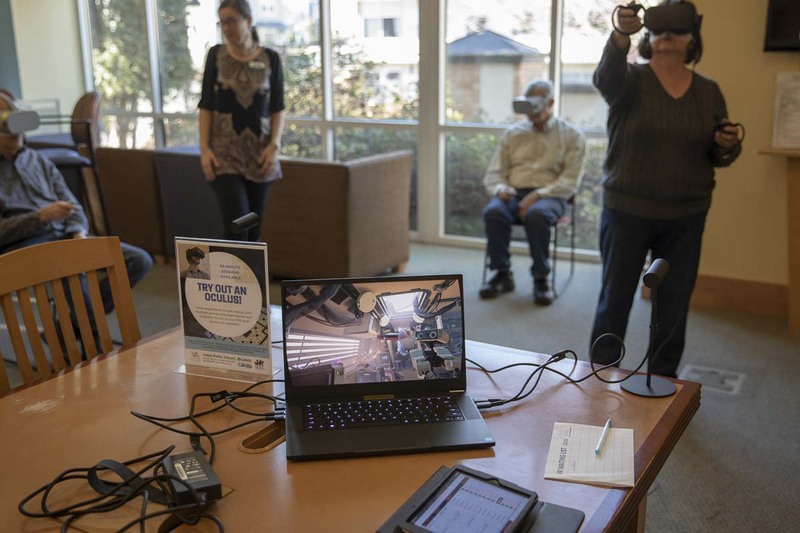 They will assist with taking on and off headsets, as well as making sure users are safe in tru reality while using the devices, the library said. Sign-up slots are for 30 minutes, with one allowed per person, per day. Participants must be 13-years-old or older, and sign a waiver.